4PawsUnleashed - Doggie Daycare and Boarding Specialists! Here at 4 Paws Unleashed, we are dedicated to you and your pets. We are a full service pet facility offering Dog Daycare, All Pet Boarding, Grooming and Training! We have TWO convenient locations located in North Des Moines and Clive! 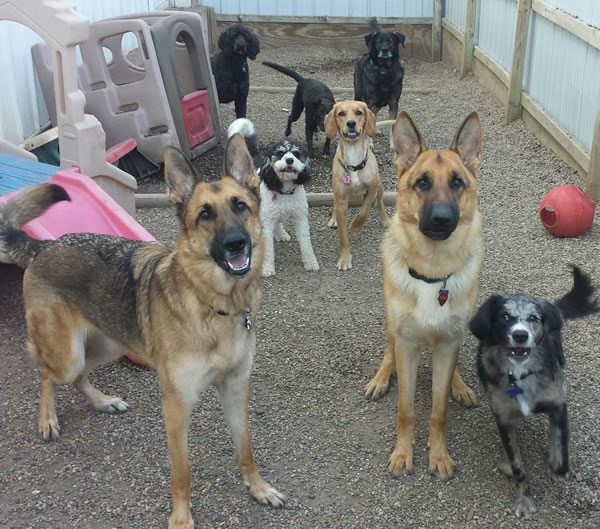 Our doggie daycare play areas consist of large rooms with platforms, jungle gyms and more toys than you can imagine. Each room has an open door (open all day!) to a large pea gravel play yard (1,500 square feet) enclosed with a 6ft tall fence. The play yards are complete with more platforms, slides, play equipment, and of course, wading pools! We offer an opportunity for your dogs to get exercise in an action-packed setting, learn valuable social skills, spend some built-up energy from being left alone all day at home or while on vacation, and give you a break from the dreaded ‘dog guilt’ you get every morning when you leave your dog(s) home alone for hours on end. 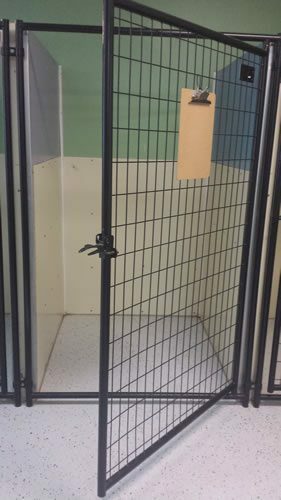 Tired of the same old kennel, where your dog only gets out a few times a day to go potty? Here at 4 Paws Unleashed, you can enroll your furry friend in doggie daycare while he/she boards. This will get them out of the kennel and into an action packed, indoor/outdoor setting during the day, and only in the kennel at night. Boarding for all types of animals, including exotics, is available! Our facilities are designed for any pet to be taken care of while you are away. Rabbits, fish, birds, hamsters, guinea pigs, spiders, and reptiles including snakes and iguanas are always welcome to stay with us. We have experience with many exotic and pocket pets and look forward to meeting your creative friend! Our facilities are topped off by a separate cat rooms complete with windows (North Des Moines) or an active fish aquarium.